भोजने स्व: जगन्नाथे, सयने कृष्ण द्वारिका "
Since last four generations we have been serving the visitors to Badrinath Dham amidst of tough working and adverse climatic conditions. Our ancestors guided the pilgrims to this holy place from around the world, made arrangements for their stay and provided them with food and clothing in this snow covered and one of the remotest areas of the world. With the change of time and demand we were forced to take up our first venture in the form of HOTEL DWARIKESH. 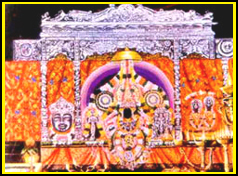 We are committed to provide the best of services in Badrinath Dham. Providing good service is not only our motto but our style of working. Dwarikesh is a perfect place for peaceful and comfortable stay in Badrinath. Badrinath is a Hindu holy town and a nagar panchayat in Chamoli district in the state of Uttarakhand, India. It is the most important of the four sites in India's Char Dham pilgrimage. 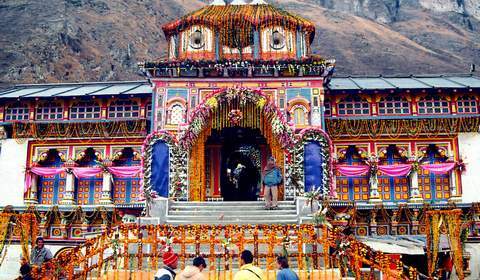 Badrinath was re-established as a major pilgrimage site by Adi Shankaracharya in the ninth century. In recent years its popularity has increased significantly, with an estimated 600,000 pilgrims visiting during the 2006 season, compared to 90,676 in 1961.The temple in Badrinath is also a sacred pilgrimage site for Vaishnavites.Badrinath has been mentioned as a holy place in scriptures and legends for thousands of years. According to the Bhagavata Purana, "There in Badrikashram the supreme being (Vishnu), in his incarnation as the sages Nara and Narayana, had been undergoing great penance since time immemorial for the welfare of all living entities." (Bhagavata Purana 3.4.22). बद्री सदृश्य तीर्थं न भूतो न भविष्यति: "
Badri refers to a berry that was said to grow abundantly in the area, and nath means "Lord of". Badri is also the Sanskrit name for the Indian Jujube tree,which has an edible berry. Some scriptural references refer to Jujube trees being abundant in Badrinath. Badrinath is located at 30.73°N 79.48°E. It has an average elevation of 3,415 metres (11,204 feet). It is in the Garhwal hills, on the banks of the Alaknanda River. The town lies between the Nar and Narayana mountain ranges and in the shadow of Nilkantha peak (6,560m). Badrinath is located 301 km north of Rishikesh. From Gaurikund (near Kedarnath) to Badrinath by road is 233 km. The Badrinath temple is the main attraction in the town. According to legend Shankaracharya discovered a black stone image of Lord Badrinarayan made of Saligram stone in the Alaknanda River. He originally enshrined it in a cave near the Tapt Kund hot springs.In the sixteenth century, the King of Garhwal moved the murti to the present temple. The temple has undergone several major renovations because of age and damage by avalanche.In the 17th century, the temple was expanded by the kings of Garhwal. After significant damage in the great 1803 Himalayan earthquake, it was rebuilt by the King of Jaipur. The temple is approximately 50 ft (15 m) tall with a small cupola on top, covered with a gold gilt roof. The facade is built of stone, with arched windows. A broad stairway leads up to a tall arched gateway, which is the main entrance. The architecture resembles a Buddhist vihara (temple), with the brightly painted facade also more typical of Buddhist temples.Just inside is the mandapa, a large pillared hall that leads to the garbha graha, or main shrine area. The walls and pillars of the mandapa are covered with intricate carvings. One legend has it that when the goddess Ganga was requested to descend to earth to help suffering humanity, the earthwas unable to withstand the force of her descent. 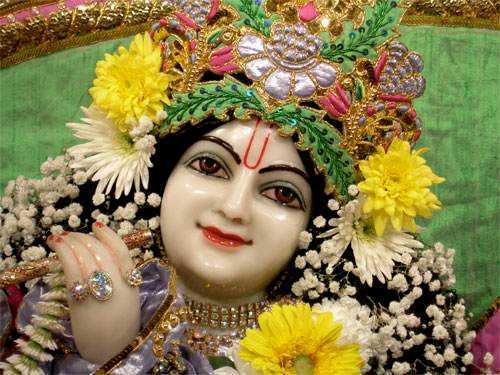 Therefore the mighty Ganga was split into twelve holy channels, with Alaknanda one of them. Located only a few kilometers from the Indo-China (Tibet) border, Badrinath is generally a two-day-long journey from either Kedarnath, the site that precedes it in the Char Dham circuit, or one of the main disembarkation points on the plains. Hemkund Sahib, an important Sikh pilgrimage site, is on the way to Badrinath, so the road is especially crowded during the summer pilgrimage season. The temple and its substantial surrounding village are accessible by road. The best time to visit Badrinath is between June and September. Warm clothes are recommended all year. The northern math established by Adi Sankaracharua is nearby at Jyoshimath. 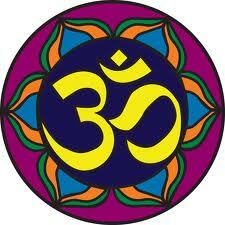 Other places in the area are Haridwar and Rishikesh. Copyright © 2016 Hotel Dwarikesh All rights reserved.